The capital city of Zhitomir oblast. 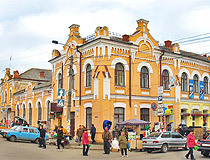 Zhytomyr (Zhitomir in Russian) is a city located in northwestern Ukraine, the administrative center of the Zhytomyr region, an important transport hub. The roads connecting Kyiv and Lviv, Warsaw and Kyiv, Minsk and Izmail pass through Zhytomyr. The population of Zhytomyr is about 267,000 (2016), the area - 61 sq. km. The phone code - +380 412, the postal codes - 10000-10031. Local time in Zhitomir city is April 21, 5:20 pm (+2 UTC). 7 January, 2019 / Catholic Church of St. Michael the Archangel in Krasnopil. 28 November, 2018 / Abandoned and Flooded Korostyshivsky Quarry. 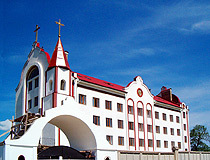 25 November, 2018 / Church of the Body and Blood of Jesus Christ in Ruzhyn. 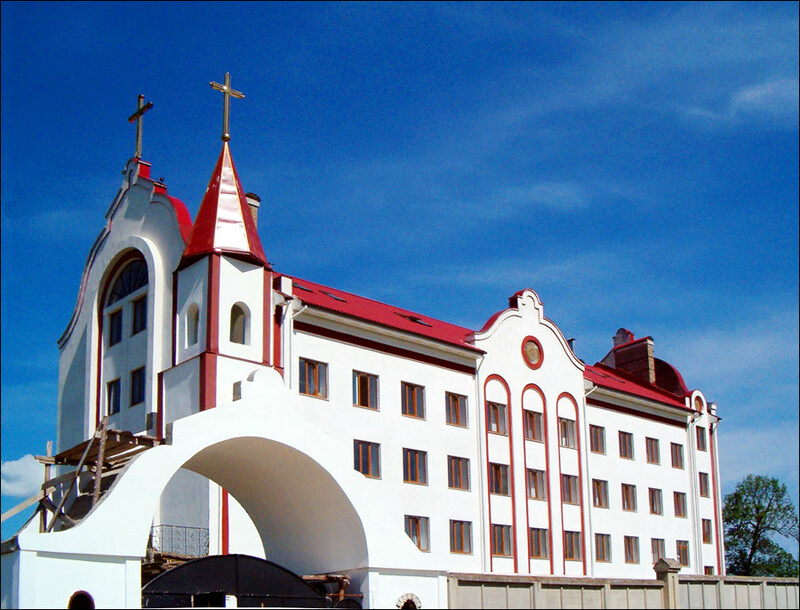 20 November, 2018 / Catholic Church of St. Anthony in Myropol. 12 March, 2018 / Fortified Monastery of the Barefoot Carmelites in Berdychiv. According to the local legend, the settlement was founded around 884, and was named after its founder Zhytomyr, the volunteer of the Kyiv princes Askold and Dir, who refused to serve Prince Oleg, disappeared into the woods and settled on a high cliff at the confluence of the Kamyanka and Teteriv Rivers. Pavel Jozef Safarik, one of the first scientific Slavists, argued that the settlement arose as the center of the Zhytychi tribe, part of the tribal union of the Drevlyans. It is also possible that Zhytomyr is an abbreviated form from the word “zhyvotomyr”, a symbol of a peaceful, quiet life. It is also known that the male name of Zhytomyr is common in Croatia and Serbia. 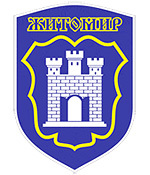 Zhytomyr belongs to the oldest cities of Ukraine. Near it, archaeologists discovered remains of settlements and mounds of the Bronze Age, the early Iron Age. The monuments of Scythian time (the 13th-3rd centuries BC) are widely spread in Zhytomyr. Within the city, burial grounds of the 7th century and remains of the old Russian fortification of the 10th-13th centuries were also discovered. The first written mention of Zhytomyr dates back to 1240, in connection with the military campaign of Khan Baty. During the Mongol invasion, after the defeat of Kyiv, Zhytomyr was completely ruined and destroyed. The settlement was subjected to attacks by Crimean Tatars up to the 17th century. In 1320, the Lithuanian prince Gediminas captured the Zhytomyr fortress. In 1362, it was included in the Grand Duchy of Lithuania. In 1399, the Golden Horde Khan Edigu defeated the army of the Lithuanian prince Vytautas, captured and plundered Zhytomyr. At the end of the 14th century, it was mentioned in the chronicle “List of distant and near Russian towns” under the name of Zhytomel. In 1444, it received the Magdeburg right. The town gradually grew, handicrafts and trade developed. In 1474, Ambrogio Contarini, a Venetian nobleman, visited Zhytomyr during his trip to Persia and wrote about it: “a fortified town in which the buildings are wooden.” In 1569, after the Union of Lublin, when a single state of the Polish-Lithuanian Commonwealth was created, Zhytomyr fell under the Polish rule. In 1596, King Sigismund III Vasa approved the right of Zhytomyr to hold two annual fairs, which contributed to the development of the town. In 1648, during the Cossack-Polish War, the army of Bohdan Khmelnytsky captured Zhytomyr. The year 1667 became a turning point in the history of the town, when according to the terms of the Truce of Andrusovo, Kyiv became part of Russia, and the Kyiv courts were transferred to Zhytomyr. 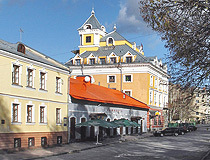 The town in fact became the administrative center of the Kyiv Voivodeship. This gave impetus to the further intensive development of Zhytomyr. In 1724, the Jesuits opened a monastery and school in the town. In 1765, there were 5 churches (2 Orthodox and 3 Catholic), one palace and 285 houses in Zhytomyr. In the second half of the 18th century, a large Jewish community was formed here. In 1793, after the second partition of Poland, Zhytomyr became part of the Russian Empire. 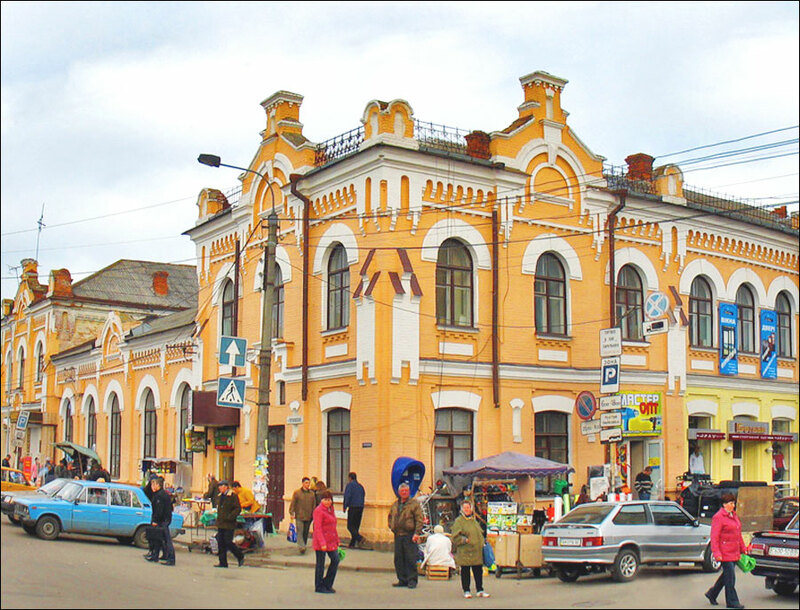 In 1804, Zhytomyr became the administrative center of the Volyn province. The town became a relatively large center of trade in timber, livestock, hops, and other goods. In 1846, Taras Shevchenko visited Zhytomyr. He was interested in local folk tales, songs, old monuments, and history of the region. In February 1897, according to the first census of the Russian Empire, 65,895 people lived in Zhytomyr (Jews - 30,572, Russians - 16,944, Ukrainians - 9,152, Poles - 7,464, Germans - 677). In 1913, the population of Zhytomyr was about 90,700 people. During the Civil War in the territory of the former Russian Empire, power in Zhytomyr changed more than ten times. During the industrialization of the 1930s, the development of industry began. In the early 1930s, the city was the center of woodworking, furniture, footwear, and wine-vodka industries. 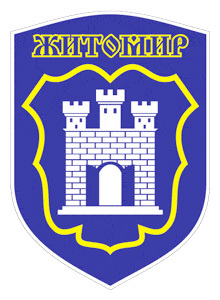 In September 1937, Zhytomyr became the center of the Zhytomyr region. On the eve of the Second World War, there were 62 enterprises, 29 medical institutions, a theater, a philharmonic society, the Palace of Pioneers, 3 movie theaters, 4 clubs, a museum in Zhytomyr. In 1939, the population of the city was about 95,000 people. July 9, 1941, the Germans captured Zhytomyr. December 31, 1943, the city was finally liberated by Soviet troops. As a result of the occupation and fighting, almost all industrial enterprises, cultural and educational institutions, hospitals, about 40% of residential buildings, monuments were destroyed. In 1955-1956, gasification of the city began. The population of Zhytomyr reached the pre-war level only in the late 1950s. Since that time the rapid development of Zhytomyr began. In 1962, trolleybuses began to carry out passenger transportation in the city. In 1957-1990, dozens of industrial, transport, construction, and engineering facilities were built in Zhytomyr: a flax factory, chemical fiber and metal structures plants, a meat processing plant, a laboratory glass plant, etc. In 1989, the population was 292,097 people, in 1991 - 298,000 people. Since August 24, 1991, Zhytomyr is one of the regional centers of independent Ukraine. Zhytomyr is located about 140 km west of Kyiv, among the unique natural landscapes. From all sides the city is surrounded by forests, several rivers flow through it. There are a lot of parks and public gardens in the city. 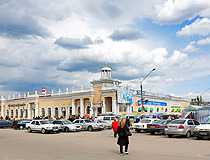 The climate in Zhytomyr is temperate continental, with humid summers and mild winters. The average temperature in July is plus 18.9 degrees Celsius, in January - minus 5.7 degrees Celsius. It is an important economic, scientific and technical center of the region. The main branches of the economy of Zhytomyr are light, processing and food industries. The local enterprises produce glass, metal structures, electronic devices, LED screens, confectionery products, fabrics, furniture, footwear, car parts, etc. The processing of natural stone is also developed. 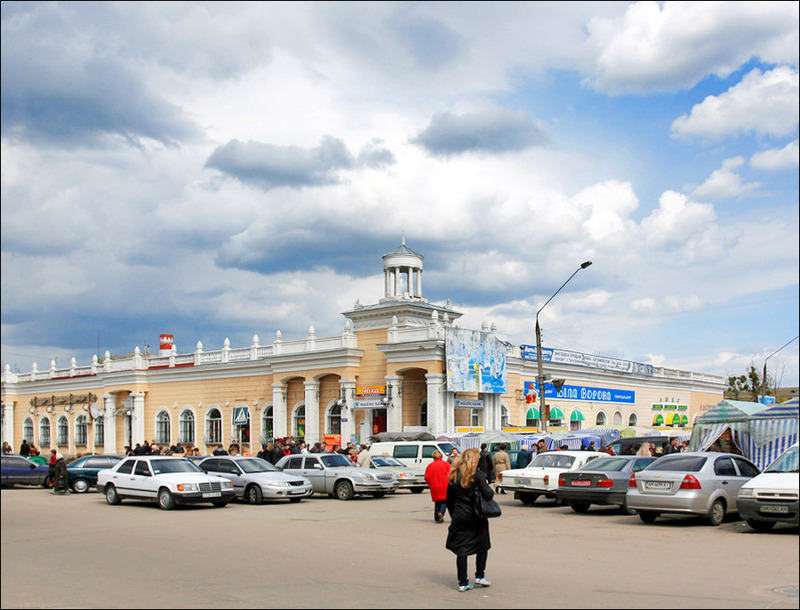 Zhytomyr is a major transport hub of Ukraine. The city stands on an important road from Kyiv to western Ukraine - the highway M-06 E 40 Kyiv - Chop. Public transport in Zhytomyr: one tram line plus trolleybuses, buses, and minibuses. This city is a significant cultural center of Ukraine. There are a lot of cultural institutions here: 2 state theaters, a philharmonic society, more than 10 museums, libraries, a planetarium. The historical and actual center of Zhytomyr is geographically located in its southern part. The central square is Soborna (Cathedral) Square. 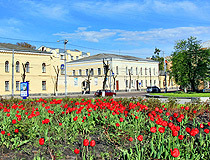 The most famous, but small in length, the central street of the city is the pedestrian Mykhailivska Street. There are several bridges in Zhytomyr. The most interesting one is the metal Pidvisnyy (Suspension) Bridge across the Teteriv River in the Park of Culture and Rest named after Yuri Gagarin. The length of the bridge is 300 meters. From it you can see the coastal slopes and the old districts of Zhytomyr. The City Day of Zhytomyr is celebrated on the first Sunday of September. 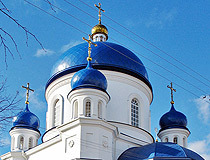 Holy Transfiguration Cathedral (1866-1874). 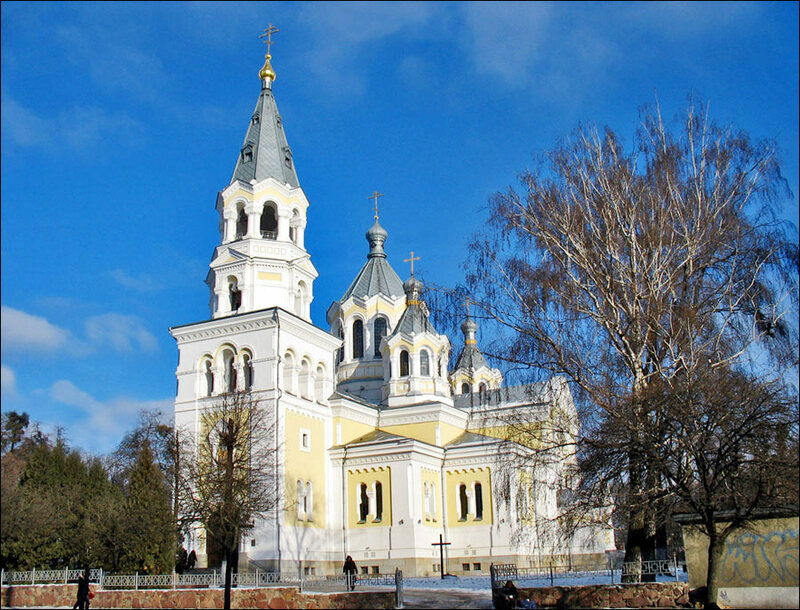 This magnificent cathedral is one of the symbols of Zhytomyr. The church was built in the Byzantine-Russian style with the characteristic features of the ancient Russian architecture of the 11th-12th centuries as the main Orthodox church in Volhynia. The height of the towers reaches 53 meters. The interior is richly decorated with granite and labradorite. This cathedral is among the most beautiful churches in Ukraine. Peremohy Street, 12. St. Sophia’s Cathedral (1737-1751). 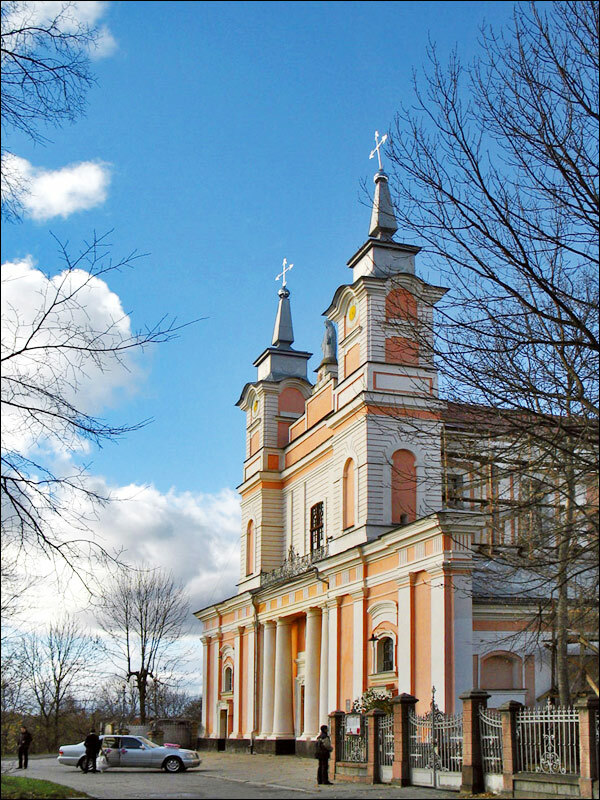 This Catholic church with a bell tower (26 meters) is considered one of the main architectural sights of Zhytomyr due to its successful combination of late Renaissance and Baroque styles. The church is known for its richly decorated interior with stucco molding and mural paintings. Zamkova Square, 2. St. Michael’s Cathedral (1856) - an architectural monument belonging to the oldest stone religious buildings of Zhytomyr. In Soviet times, it housed the society “Knowledge” and a puppet theater. Today, it belongs to the Ukrainian Orthodox Church of the Kyiv Patriarchate. Kyivska Street, 18. Catholic Church of St. John of Dukley (1838-1842). This building constructed in the style of neoclassicism is a monument of national importance. 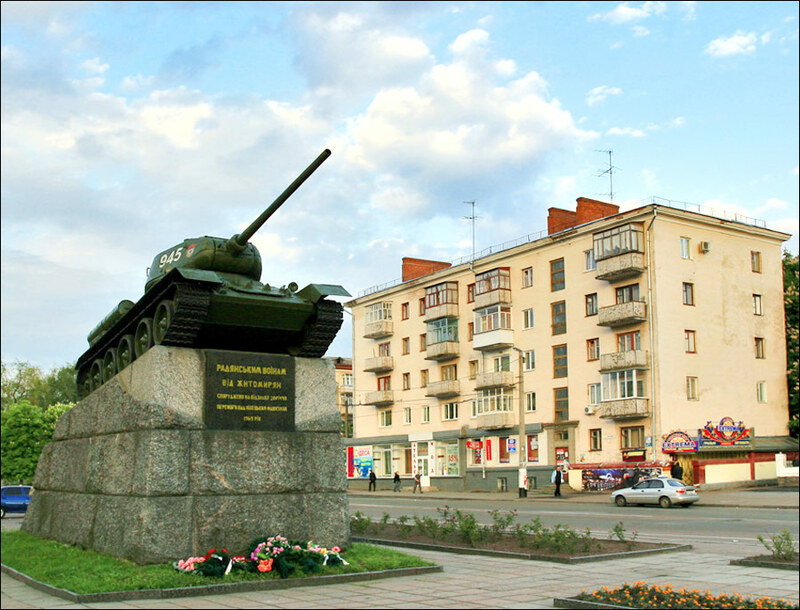 It is located close to the central square of Zhytomyr. Beautiful and well-groomed territory. The service is partly in Polish. Kyivska Street, 4. Lutheran Church (1896). The church was built of red brick in the style of modernized Gothic architecture. In Soviet times, the building was used as a gym. Since 1996, the church belongs to the Independent Church of the “Nativity” of Evangelical Christian Baptists. Kotsiubynskoho Street, 5. Holy Cross Cathedral (1897-1900) - a Byzantine-style church located in the historical center of Zhytomyr, on Zamkova (Castle) Hill. 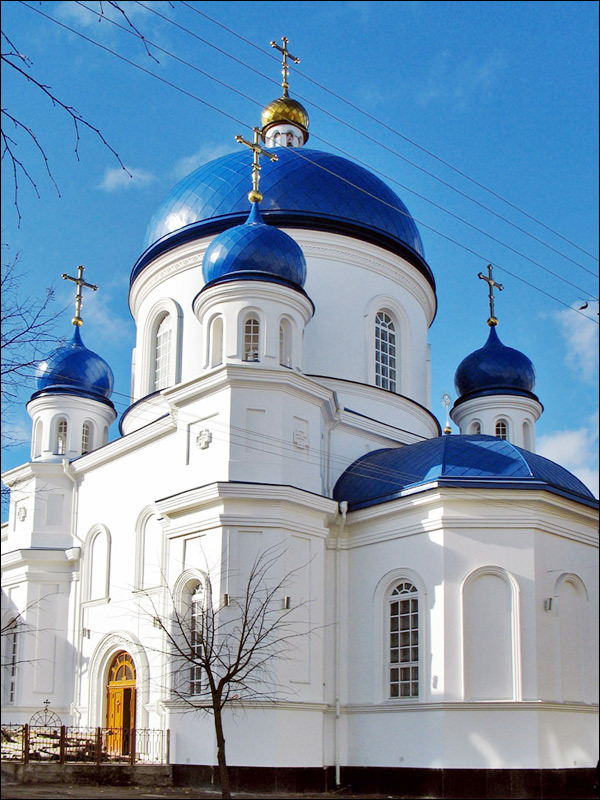 The cathedral was returned to the Orthodox believers in 2011 and consecrated in 2014. Kafedralna Street, 14. 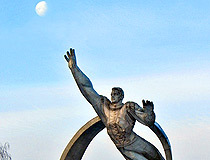 Museum of Cosmonautics named after Sergei Korolev. In 1907, Sergei Korolyov, the future founder of the practical development of outer space was born in Zhytomyr. The memorial part of the museum is in a small house in which, at the beginning of the 20th century, the family of Korolev lived. The interiors are restored by the memories of his mother. The exposition of the pavilion “Kosmos”, opened in 1991, presents the originals and models of space vehicles, spacesuits and other equipment including the technological model of the Soyuz spacecraft, the Lunokhod-2 model, the original Soyuz-27 descent vehicle. The capsule with the soil of the Moon, presented by NASA, is one of the most valuable exhibits. Dmytrivska Street, 2. Opening hours: 10:00-17:15. Day off: Monday. Zhytomyr Local History Museum. This old mansion, built on Zamkova Square for the head of the Zhytomyr Catholic eparchy in the 19th century, is called the Bishop’s House. In total, the museum has about 150,000 exhibits, but only a small part of them, devoted to the historical events of the first half of the 20th century, is exhibited. The main exhibition space is occupied by the art department of the museum, where you can see a unique collection of works of fine art of Italian, Dutch, French, Polish, and Russian masters of the 16th-20th centuries. Zamkova Street, 1. Opening hours: 10:00-18:00. Days off: Monday, Tuesday. Handicraft Yard. This museum of old tools is located at the railway station Kroshnya. The whole collection has several thousand exhibits, in particular 115 different axes, as well as kerosene all-weather lamps, an old device for roasting coffee beans with their simultaneous mixing, an old smithy, etc. 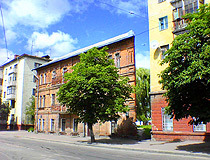 Bohdana Khmelnytskoho Street, 42. Opening hours: 09:00-18:00. 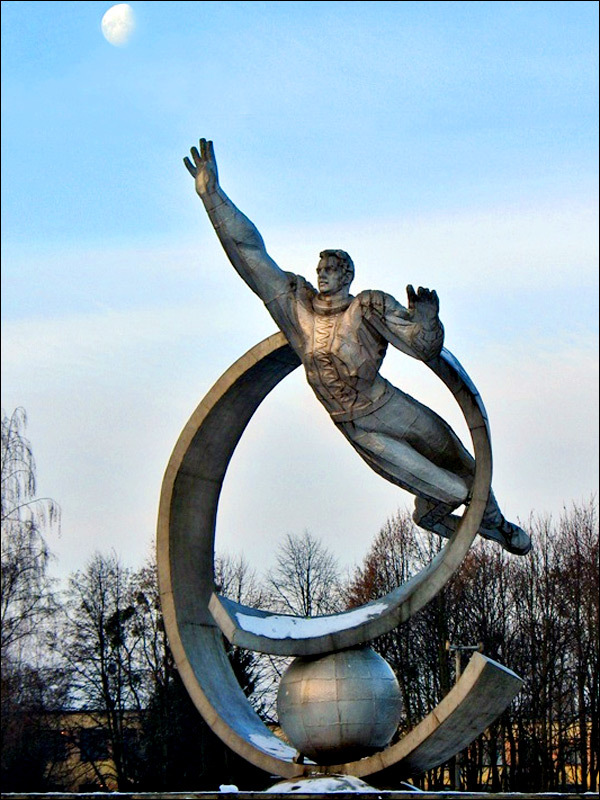 Park of Culture and Rest named after Yuri Gagarin - the most popular recreation area in Zhytomyr. The park, created in the 19th century, covers an area of 36 hectares, a large part of it is located on the slopes of the banks of the Teteriv River. On the territory of the park there are about 80 species of trees and bushes, some are brought from different parts of the world. In front of the central entrance there is a beautiful cascade of fountains, behind the entrance - several observation decks. The most picturesque place is a suspended pedestrian bridge across the Teteriv River. Staryi Boulevard, 34. Chatsky’s Head - a rock of a bizarre shape over the Teteriv River (30 meters), a geological monument of national importance. According to legend, the Polish nobleman Chatsky, who was pursued by the Cossacks, threw himself into the river from it. According to another version, the name is associated with the name of the founder of the Kremenets Lyceum T. Chatsky. The rock is clearly visible from the observation deck on the dam of the Teteriv reservoir and from the hill near the Monument of Glory. It is a popular summer holiday place for local residents. 2nd Kryvyi Lane. Magistrate (1789). This magnificent two-story building was built for Zhytomyr Magistrate in the forms of neo-Renaissance. Although the building had been badly damaged during the Second World War, it was completely restored in 1951. Kafedralna Street, 3. Filippov’s Mansion (1886-1903). 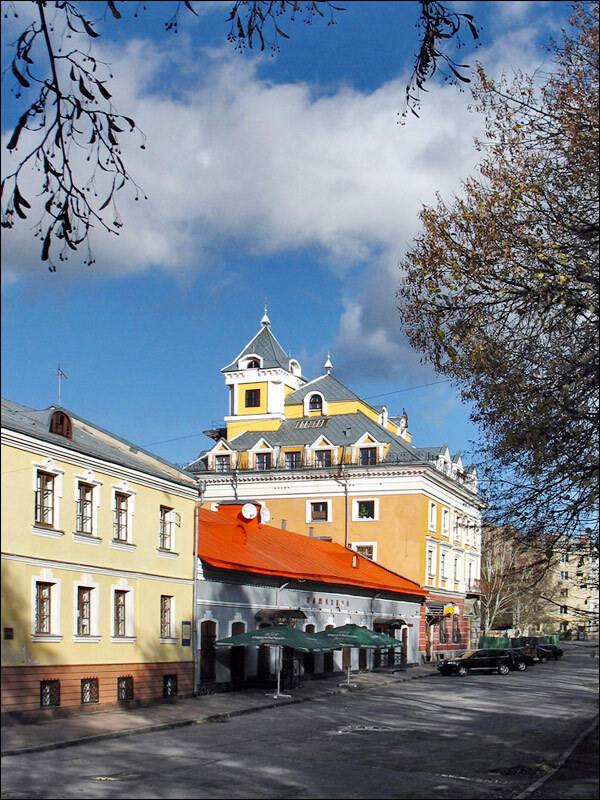 The two-storey baroque house belonged to the Zhytomyr notary and lawyer I. Filippov. Today, the building houses 3 state organizations: the Justice Department, the Culture Department, and the Registry Office. The Filippov’s Mansion is an architectural monument of local significance, one of the little-known architectural gems of Zhytomyr. Velyka Berdychivska Street, 61. Flat House. This house, built in the middle of the 19th century, is also called “Chimera House” or “Heart-shaped House”. In the past, the house stood on the sharp corner of the intersection. To maximize the use of the entire land, the architect had to design a house with an unusually sharp angle. Thus, when viewed from a certain angle, an illusion is created that the house has only a facade with windows, and there are no other walls - the house is flat! There are “flat houses” in Odessa and Lviv too. Peremohy Square, 9. Water Tower (1898) - an unusually beautiful red brick building constructed in the style of modernized Gothic - one of the symbols of the old Zhytomyr, an architectural monument of local significance. Pushkinska Street, 24. Fire Tower (1894) - an architectural monument of local significance. Inside the building you can find the Fire Service Museum. The entrance is free. Sviatoslav Ri?hter Street, 33A. Opening hours: 09:00-17:00. Zhytomyr Regional Philharmonic Society named after Svyatoslav Richter (1858). 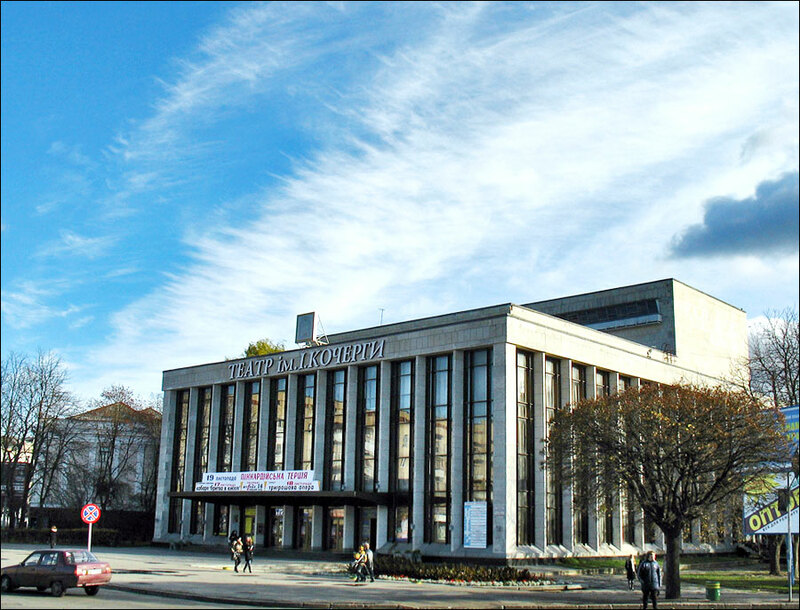 This building was constructed as a town theater on the initiative of the Polish playwright and public figure Yuri Krashevsky, who was the artistic director of the theater. At that time, the building of the theater was considered one of the best in Ukraine. Today, it is a monument of local architecture. Pushkinska Street, 26. Gymnasium (1862). For many years, it was the largest and most authoritative educational institution not only in Zhytomyr, but in all of Volhynia. The complex of buildings has been completely preserved. In 1919, the educational building of the gymnasium was reconstructed. Today, it is the Zhytomyr State University of Ivan Franko. Velyka Berdychivska Street, 40. District Court (1897). This building was constructed for the Zhytomyr District Court. 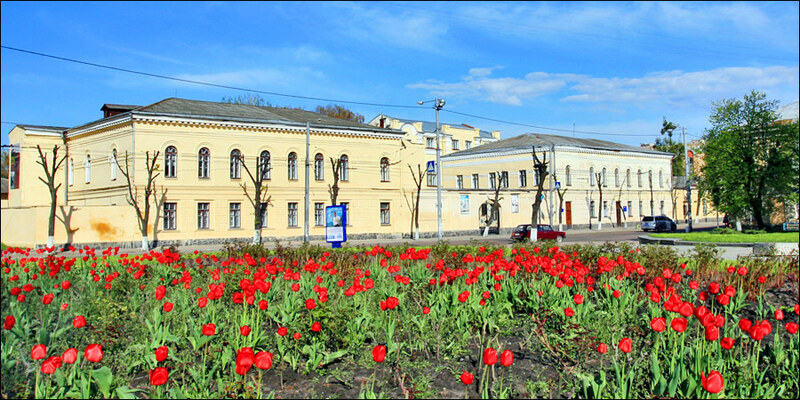 Today, it is one of the buildings of the Zhytomyr National Agroecological University, an architectural monument of local importance. Staryi Boulevard, 7. There are about a dozen hotels in Zhytomyr. The following ones offer the best level of service according to visitors’ reviews. Hotel “Reikartz Zhytomyr”. 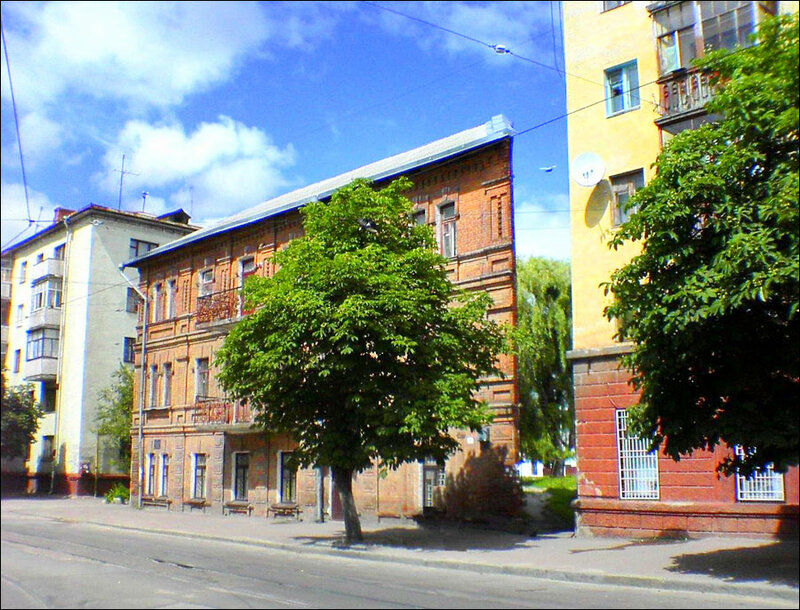 This business hotel of the hotel chain “Reikartz Hotels and Resorts” is located in the historical and business center of Zhytomyr, near Soborna Square. The building of the hotel is designed in the style of classical Western European architecture of the late 19th - early 20th centuries. 62 rooms. Air conditioning, free Wi-Fi and parking, safe, elevator, shuttle service, bar, restaurant, pets are allowed on request, the staff speaks English. Zamkova Square, 5/8. Phone: +380 41 255 89 10. Hotel “Hermes” - a new hotel located about 2 km from the center of Zhytomyr. 48 rooms. Air conditioning, free Wi-Fi and parking, safe, elevator, family rooms, bar, restaurant, gym, pets are not allowed, the staff speaks English. Vyzvolennya Square 8A. Phone: +380 93 055 56 55 . Hotel “Chalet” - a hotel and restaurant complex in alpine style located at the entrance to Zhytomyr from Berdychev, about 3 km from the city center. The restaurant offers European (Italian, Austrian) and national Ukrainian cuisine. 10 rooms. Air conditioning, free Wi-Fi and parking, shuttle service, bar, pets are allowed on request. Berdychivska Street 10. Phone: +380 67 777 99 59.
john asks: I only speak English. Would it be difficult for me to get along, rent an apartment, find my way around? It will not be easy. In general, the situation is better in large tourist cities, such as Kyiv and Lviv. In other cities and towns including such regional centers as Zhytomyr, still a relatively small number of people can speak English, mostly young people, students. However, their number is growing and the situation looks promising. Most of the signs on the streets are also not duplicated in English. I was born 90 years ago in Buenos Aires, Argentina. My grandmother and father on my mother side were born in Zhitomir, around 1860. They were of Jewish ancestry and were part of a rather big community. In those days the reigning Tsar organized a persecution and elimination of Jews by the brutal action of the Cossack army. My ancestors left urgently the land of their ancestors and emigrated to Argentina where they started a new and prosperous life. My family came from this town during WW2, thank you for the pictures, I hope to visit one day.